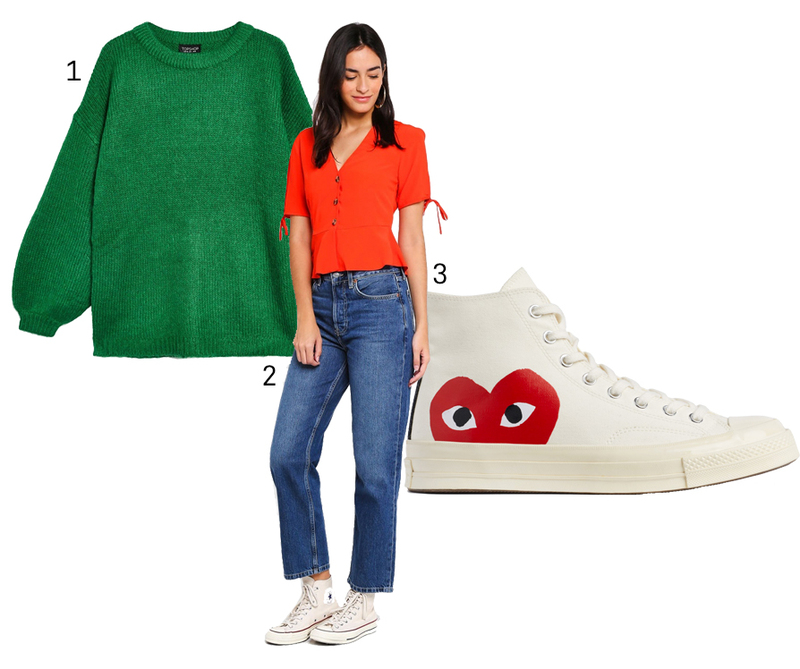 The Boyfriend Trend: What Is It And How Do We Style It? ‘The Boyfriend Trend’ started around the 19th century with women wearing anything but dresses, skirts and corsets. Menswear-inspired fashion was originally considered a rebellious political statement, but it now refers to any comfortable set of clothes — preferably if the clothing items can be ‘stolen’ from your boyfriend’s wardrobe. No boyfriend? No problem! You can get menswear from many different stores. This closet must-have is oversized for all the right reasons. With a wide frame, the boyfriend blazer gives off the illusion of broad shoulders. Throw it over anything you like – dresses, tees, or tank tops. Got an after-work party to attend, but your office has a dress-code? Yes, you will still be able to buy that sequinned dress that you were eyeing. Blazers are great for making your outfit look stylish and professional. As always, athleisure fashion is something that will not die down. And Kim K has proven to us that bicycle shorts are trendy and suitable for any occasion. If you’re going for the ‘boyish’ look, go all the way! Camo print is unisex anyway. Boyfriend jeans are an essential! Repping a loose fit, this pair of jeans is ideal for an effortlessly chic look. Battling with an inner (daily) conflicts on what to wear? Your boyfriend jeans will always be there for you. Throw on any top you can find, a jumper is a good choice for the December rain. Wardrobe woes, begone! Shirts are always a good look for any gender. Semi-formal and sophisticated, you can either wear it on its own or with a t-shirt under. 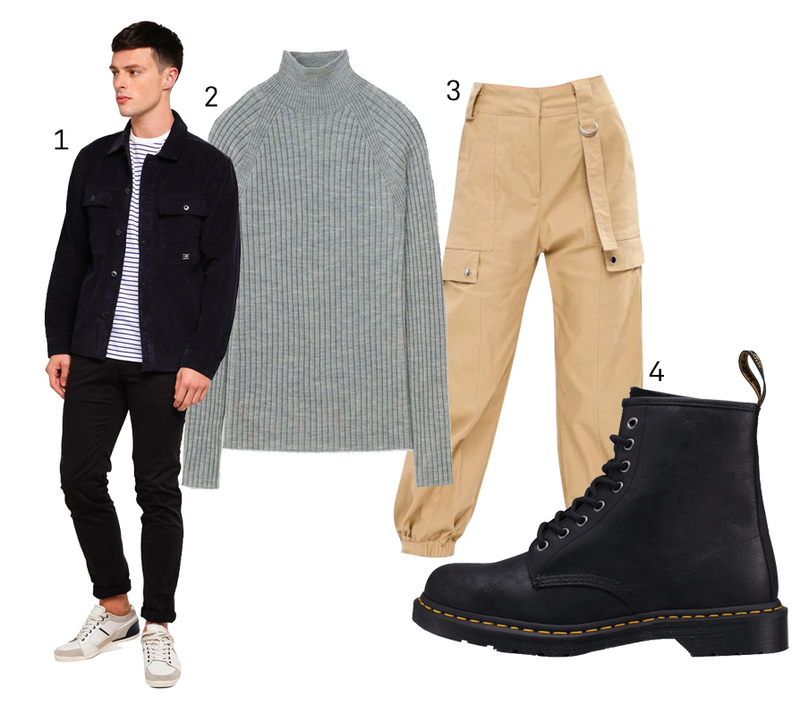 For this look, we matched the oversized shirt with a turtleneck and high waisted cargo pants. Not forgetting, the classic Dr. Martens! 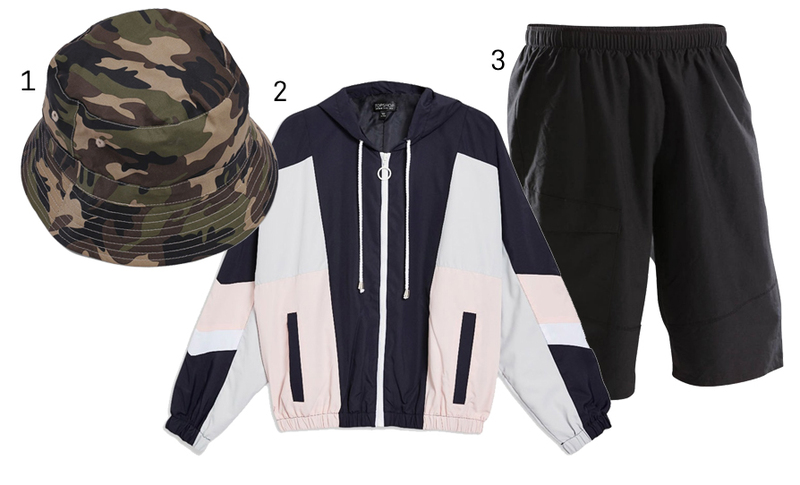 The perfect streetwear look for you to pull off. Last but not least, we’ve got the boyfriend sweater. Imagine hand-hiding sleeves with a relaxed fit. You’re going to feel so warm and snug, you wouldn’t want to strip out of this outfit. As a special mention, we’ve included a ‘boyfriend shoe’ as well. Though it is a men’s shoe, wear it if it comes in your size! With so many gender-neutral clothes, it’s time to expand your wardrobe options!